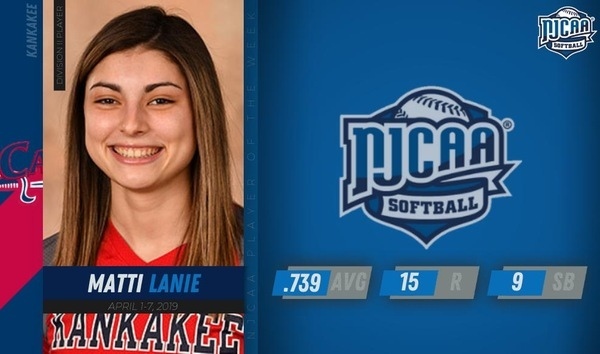 The National Junior College Athletic Association (NJCAA) has named Kankakee Community College’s Matti Lanie as the Division II Softball Player of the Week for April 1-7 (Week 11). The award is the first for Lanie, and the first this season for the Cavaliers. Lanie, a freshman outfielder from Momence, Illinois, batted an impressive .739 over seven games, scoring 15 runs and stealing nine bases. The Cavaliers won all seven games to extend a 16-game unbeaten streak, during which Lanie enjoyed her own ten-game hitting streak. In the seven games, she was 17 for 23 and drove in nine runs. In a 13-2 win over the College of DuPage, Lanie was a perfect 4 for 4 with four runs scored and three batted in. 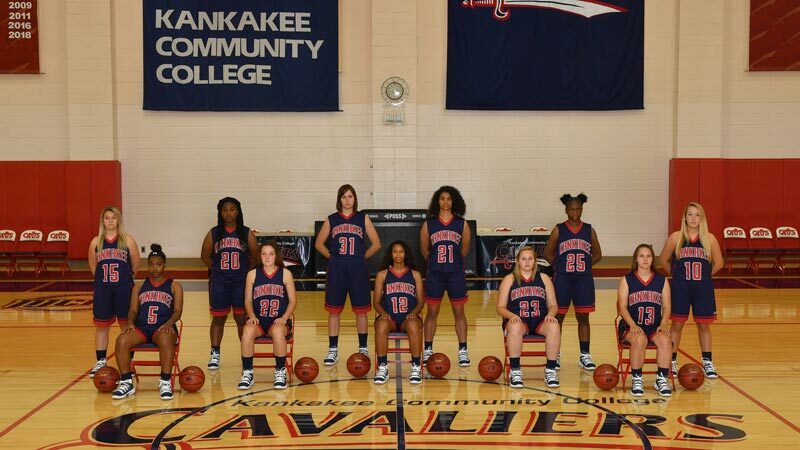 Lanie and the Cavaliers are 19-10-1 on the season and receiving votes in the latest NJCAA Division II Poll. The Cavaliers softball program look to make their mark on the 2019 season with two sophomores and 13 freshmen. The team features a wide variety of pitching, hitting, and defense, and expects to be a strong contender for a 21st consecutive NJCAA Div. 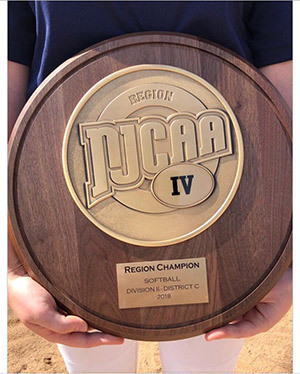 II, Region IV Championship, allowing another trip to the National Tournament in Clinton, Miss. The Cavaliers will depend on the strong play and leadership of returning sophomore Mikayla Cole (P/Uti). Cole will provide the knowledge and experience to help guide a young roster. The other sophomore is a solid transfer, Faith Harris (C), who will provide much needed depth and power. This year’s freshmen are: pitchers Maddie Wallace, Hayley Edmonds, Sydney Reams, and Aubrey Durdan (P/1B); infielders Gabby Schultz (OF), Amber Mussey, Ashley Riner; catchers Sarah Starr, Leann Mossman, Payton Kerness; and outfielders Madalin Evans (OF/MI), Emma Schriner, and Mattie Lanie. 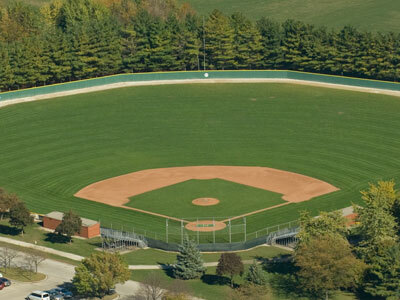 With dependable hitting, power, speed, and young top pitching, the Cavs expect to compete in a tough Region IV with solid opponents Triton, South Suburban, and Prairie State. The schedule also includes match-ups against top ranked Rock Valley, Parkland, Danville, Madison, and Lincoln Land, as well as multiple top D-I schools in Florida. With so many top-level adversaries, the Cavaliers should be well-positioned for a long and successful 2019 season. The Cavaliers are coming off a 42-17 season and a 3rd place finish in the Region IV Tournament. The 2017 NJCAA DII National Championship was a great accomplishment for the players and the program. We continue to have the same goals for our program, which include preparing our players academically and athletically to be successful at the 4-year university, compete for a Region IV Championship, and win 40 games each season. The Cavaliers have several key players back for their sophomore seasons. These include OF Dylan Post: .295 BA, 9 2B, 5 3B, 1 HR, 31 RBI, 15 SB, INF Wade Rankin: .455 BA, 11 2B, 1 HR, 20 RBI, and 6 SB, C Jett MCGowan: .308 BA, 7 2B, 24 RBI, DH/1B Cristian Burciaga: .315 BA, 11 2B, 1 HR, 37 RBI, and RHP Will Wentz: 5-0, 1.61 ERA, 28 IP. Nick Barnes: 3-0, 4.03 ERA, 22.1 IP. Sophomore infielders Alex Hoss, Jake Campbell, Tobey Rigsby and transfer Cole Eshleman are looking to contribute this season. On the mound sophomores, LHP Nick Crowe and RHP Donnie Craft are both coming off solid fall outing and look to contribute to the pitching staff. The freshman will definitely play a key role in the success of this team. They are led by shortstop Cole Stigleman, who has a dependable glove and a lethal bat. Corner infielders Jaret Humphrey and Michael Machnic will provide some thunder to the middle of the lineup. Nate James also provides a solid middle infielder and a left-handed bat. Outfielders Koltan Moore, Griffin Scaggs and Nate Vargo will also impact the lineup for the Cavaliers. Catcher Nick Anderson provides depth behind the plate or off the bench as a pinch hitter. On the mound, the team will look to Freshman Nick Laxner, Owen Behrens, Bobby Nowak, Aaron Ball, Jacob Duffy and Tyler Jasmin to solidify the starting rotation. Nolan Lebamoff, Jake Schueter, Tanner Walls, Max Minich and Ike Speiser will compete for innings out of the bullpen. The early season for the Cavaliers consists of a 10 game schedule opening up with John A. Logan on the way to Myrtle Beach for the spring trip March 1-9 at the Ripken Experience. 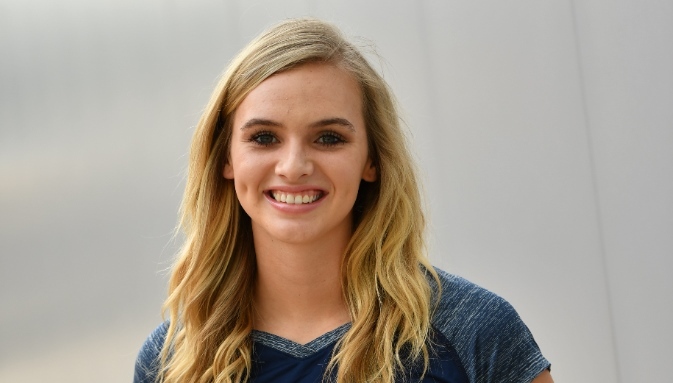 Congratulations to our Lady Cav Kassidi Burton for being named to the Volleyball Region IV District B All Tournament team! 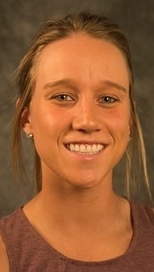 BISMARCK, ND – Steph Roan, with coaching experience at the NCAA Division II level, national tournament appearances as a student-athlete and significant experience in the Northern Sun Intercollegiate Conference, is the new University of Mary head softball coach. Roan joins the Marauders after serving as assistant coach at NCAA Division II Fort Lewis College of the Rocky Mountain Athletic Conference (RMAC) last season. Before that, she coached at St. Cloud State University, her alma mater and a fellow member of the Northern Sun Intercollegiate Conference (NSIC). Roan joined the Fort Lewis College staff in July 2017 for her first full-time collegiate coaching position. The St. Charles, IL, native, was involved in all aspects of the Skyhawks program including recruiting, fundraising, player skill development, practice organization and game day duties. In her lone season with FLC in 2018, the Skyhawks improved by 10 wins overall from the previous season while doubling their conference win total from five to 10. Roan began her collegiate coaching career as a graduate assistant coach at St. Cloud State, serving from 2015-17. Her numerous duties included assisting with practice and game day responsibilities, recruiting, academic success, social media and graphic design. She helped coach an NSIC Gold Glove recipient and the team received nine NSIC All-Academic and two NFCA All-Academic honors. Offensively the squad finished in the top five in on base percentage, hits, walks and runs scored. The Huskies also improved by six wins from her first to the second year, posting 32 wins in 2017 and finishing 5th in the NSIC. Both overall wins and conference finish was a then-best for the Huskies since rejoining the NSIC for the 2008 season. A utility player and team captain for the Huskies from 2012-2014, Roan started all 78 games she competed in, collecting 55 hits, 29 runs scored, 26 runs batted in, nine doubles, and five homeruns while recording a .944 fielding percentage. Roan transferred to SCSU from Kankakee Community College (IL). She was a unanimous all-region tournament team selection in 2011, helping her team win the Region IV championship title before placing third in the nation. She ranked in the top 10 nationally in runs batted in (76) and homeruns (12) while helping her team to the most wins in a season the following year (61 wins in 2012). Roan ranks in the top 25 career charts in hits, homeruns, batting average and at-bats at KCC. After earning a bachelor’s degree in Elective Studies from SCSU in 2015, Roan received her graduate degree in Academic Administration and Leadership from SCSU in 2017. The Athletic Department would like to welcome all our returning and new athletes! We are encouraged to have another successful year of Volleyball, Soccer, Men’s & Women’s Basketball, Softball, and Baseball! Mandatory all athlete meeting is Monday, August 20 in the Auditorium (L110)at 6pm. All athletes are expected to be in attendance unless you have a scheduled night class. The athlete picnic is scheduled for Tuesday, August 28 at the pavilion for 6:30pm. Congratulations to two of our athletic teams for being recognized by the NJCAA for their academic excellence. To be recognized the team must have a combined GPA of 3.0 or higher. Congratulations to our Academic All Americans. These athletes received a 3.60 or higher GPA. The new athletics Facebook is now live. 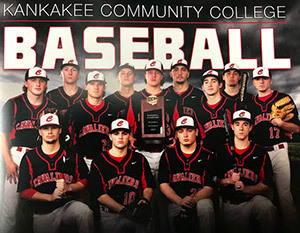 Please follow us for updates on teams, scores, and happenings in the athletic department at Kankakee Community College. Congratulations pitcher Brennan Kelly on your Gold Glove Award! This national honor is awarded to the best fielding percentage per position in the NJCAA DII. Brennan fielded a PERFECT 1.000 for the 2018 season! Sophomore Kiara Moses accepts FULL ride! Congratulations Kiara Moses who has committed to Arkansas Tech University on a full ride scholarship!! What a wonderful achievement and well deserved!! We couldn’t be more proud!! Kiara finished her KCC career with many accomplishments. Her freshman season KCC won their Region Championship and placed 4th in the country. Kiara’s sophomore year she led the team in assists and steals and was our second leading scorer. Finished 11th in the country with 152 assists and 4th in the country with 131 steals. She was named to the All-Region Team and was named to the All-Region All-Tournament Team. The Lady Cavs won another Region Championship and made a National Appearance. Sophomore Jasmine Elliott receives FULL ride! Congratulations Jasmine Elliot who has committed and received a full ride scholarship to Trinity Christian College!! We are so proud of her! 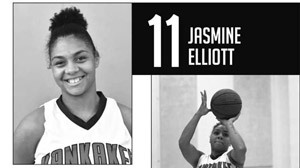 Jasmine finished this year leading the team averaging 18.4 pts per game and 10.6 rebounds per game. She finished with a double-double nearly every night. Jasmine finished the season with MVP All-Region, MVP All-Region tournament team, and All-American!!! She not only had accomplishments on the floor but in the classroom: 2 time Dean’s list recipient, made academic honors, accepted in the honors society and maintained a 3.5 GPA while taking 22 credit hours and playing basketball. Outstanding student athlete! Congratulations Jasmine! We will miss you! The Athletics Department is thrilled to introduce our brand-new website! This site allows us to interact more than ever before through live social media feeds, news stories, and more. Please share a link to https://athletics.kcc.edu so friends and prospective students/athletes can stay up-to-date with our athletic programs. We have improved site navigation so you can find details for both fans and athletes. We’re sure you’ll also notice the pictures are big and bold! Take a look around and you’ll plenty of other helpful information. Thanks for visiting! Please let us know if you have any feedback. Coach Alex Thorson is excited to welcome the first five members of the 2018 recruiting class. These players are Brian Hernandez, Pierce Coleman, Jonte Coleman, Jacob Collins, and Corez Anderson. Brian Hernandez (Orr High School) is the most recent signee for the Cavaliers. Brian will play the combo guard for the Cavaliers next season after finishing an amazing career at Orr. He helped lead his team to back-to-back state championships in class 2A as well as an overall record of 30-4 for the 2017-2018 season. Hernandez will bring great leadership with his willingness to communicate and push others to be better on a daily basis. The lefty shooter is one of the top shooters in the state of Illinois, and will also be a huge force on the defensive end next season for the Cavs. Pierce Coleman (North Chicago High School) is another recent signee for the Cavaliers. Pierce will be able to play the one through the three position next season which will make him a force to be reckoned with standing at 6’4”. He helped lead his team this season to a 4th place finish in state for class 3A as well as 22-10 overall record for the 2017-2018 season. Coleman averaged 12.3 PPG, 6 RPG, 6.4 APG, as well as 2 SPG. Pierce will bring a very high basketball IQ with him to Kankakee next season. He has shown a great ability to score the basketball at all three levels as well as do the intangibles of rebounding and making the extra pass. Jonte Coleman (Champaign Central High School) recently put pen to paper to join the Cavaliers team next season. Jonte is an amazing three point shooter as he will play the shooting guard position for the Cavs next season. Standing at 6’3” he will bring size to that position which will be much needed on both the offensive and defensive ends of the floor. Coleman had a break out senior season for Champaign Central, and helped lead them to an overall record of 20-9. He has shown the ability to shoot the basketball, and towards the later part of his senior season showcased the ability that he is more than just a shooter. The Cavaliers are excited to showcase this ability more in the seasons to come. Jacob Collins (Indiana Elite Preparatory Academy) was the first player to sign under new Head Coach Alex Thorson for this upcoming 2018 season. Jacob is a 6’2” shooting guard who has continued to progress year after year. Collins has showcased his ability to cause problems for opposing team’s players because of his tenacious defense. His length and quickness are his two biggest attributes, and they are going to be on full display next season. Jacob took a prep year after high school and averaged 15 PPG, 5.6 RPG, 5.4 APG, and 3.2 SPG. Corez Anderson (Urbana High School) recently signed to join the Cavaliers next season. Corez is a 6’0” point guard who has a tremendous ability to score the basketball. He has the ability to hit the three as well as be able to score at the basket in traffic. His length will give a lot of teams trouble as well on the defensive end. The Cavaliers are excited to welcome Corez as a part of the 2018 recruiting class. 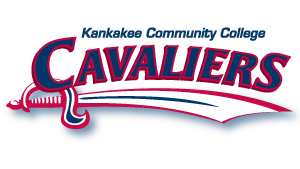 Coach Thorson and Coach Neaville are excited to welcome all of the newest signees to the 2018 recruiting class for the Kankakee Community College Men’s Basketball Team. 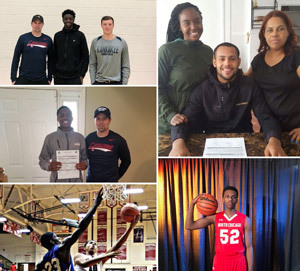 These players are not only going to succeed in basketball, but in every aspect of life as well. Baseball finished the season with a Sectional Championship and a record of 42-17. The Cavaliers fell short of the National Tournament losing to McHenry County 6-3. KCC wants to wish all of the sophomores the best of luck as they move on in their athletic and educational careers. ANOTHER FINE DAY FOR THE KCC MEN’s Soccer program! 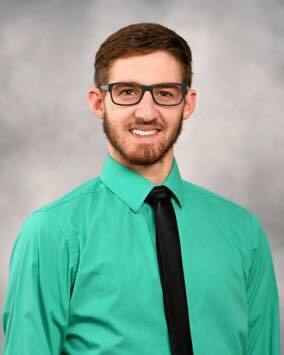 Congratulations to Jacob McCleary on being selected as a member of the All-Illinois Academic Team, a special recognition based on outstanding academic performance and service to the college and community. One honoree is Jacob McCleary of Bourbonnais, who will receive an Associate in Science transfer degree. He will attend the University of Illinois at Chicago. Congratulations to 5 Volleyball athletes that maintained Honor Roll status the entire year! Softball won their 20th consecutive Regional championship, making Kankakee Community College proud once again. Lady Cavaliers support Option CIL! 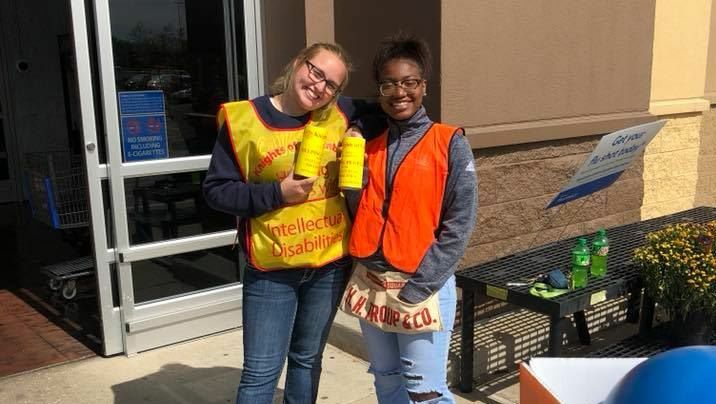 On Friday, April 20th the Lady Cavaliers were able to support a local fundraising event at Watseka High School. 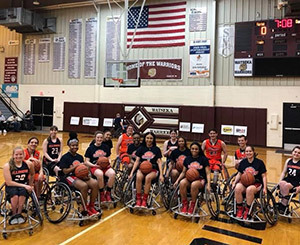 Thank you Options Center for Independent Living for asking the KCC women’s basketball program to participate in this year’s fundraiser- and having the honor to play the U of I Wheelchair basketball team. 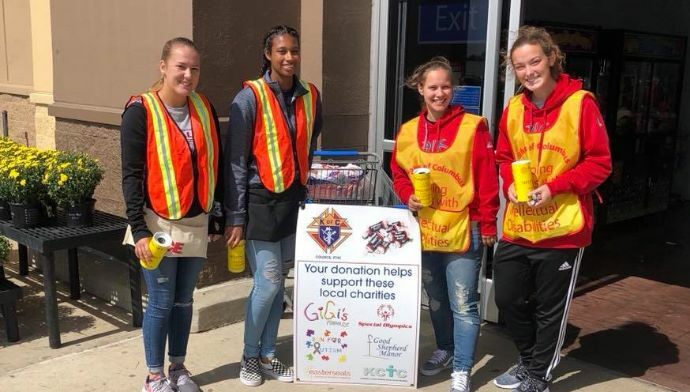 🏀100% of the proceeds stay in the community to provide programs and services provided by Option CIL for people with disabilities. 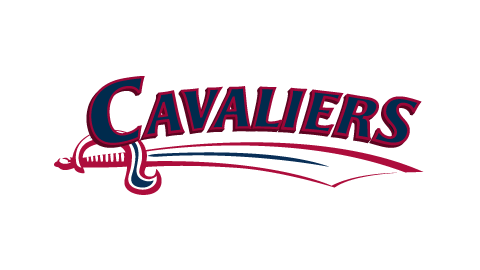 The Cavs defeated Mercer County (NJ) 11-5 in the 2017 Division II Baseball World Series .  . .
Cavs win first DII World Series ​The Cavs defeated Mercer County (NJ) 11-5 in the 2017 Division II Baseball World Series to win its first baseball championship in program history.